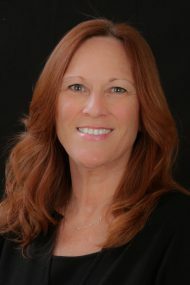 Stacy James brings 33 years of experience to Stewart Title. With an office in Elk Grove, Stacy has an extensive background in commercial, short sales, refinance and resale business. Her knowledge of real estate and her commitment to clear communication throughout each and every aspect of the transaction ensures that her escrows go smoothly and efficiently. Knowing that the escrow process can be a stressful one for buyers and sellers, Stacy maintains a professional yet sensitive demeanor during the process, thus creating loyal customers who want to continue to do business with her. When you combine all the attributes Stacy brings to each escrow, it is easy to see why she has maintained such a successful escrow desk at Stewart Title.